The focus of this volume is the characterization of monoclonal antibodies (mAbs). 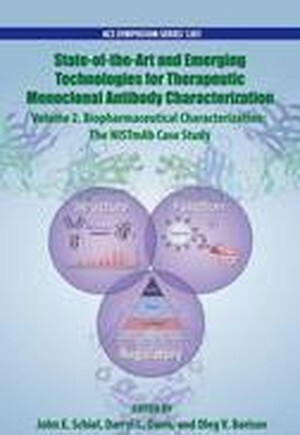 The book focuses both on general aspects, techniques, and regulatory concerns common to any recombinant protein, as well as specific analytical results. Volume 2 therefore serves as both a foundational body of NISTmAb product knowledge as well as an evaluation of its suitability as an industry-appropriate reference material (RM). In Volume 1, a framework was presented, detailing what potential critical quality attributes (PCQAs) should be measured when developing mAbs; offering a risk-based approach to determining and quantifying PCQAs; specifying to what level PCQAs must be measured; and ultimately, explaining why it all matters. In Volume 2, the editors use that framework as a guide to deduce key biochemical and biophysical parameters of the NIST RM. The ultimate goal of Volume 2 is helping researchers have the clearest picture possible of the NIST RM specifically and mAb characterization in general.